Ingestion of pasteurized millk & allergies! QUESTION: I am interested in natural cures for type 1 diabetes that was likely caused by ingestion of pasteurized milk at only a few weeks of age and subsequent food allergies leading to diabetes. I understand you worries, but I want to remind you that when you have diabetes type 1, the beta-cells in your pancreas are not able to produce insulin at all, or the beta-cells are gone for ever. Because of this, the treatment for diabetes type 1 is relieving your symptoms and improving your condition i.e. your life depends on it. This sounds like everything is lost and you cannot do anything to change things. On contrary, there are few things, which you can do in purpose to improve your current condition and to start living your life normally, like the day before finding out that you have diabetes although it seems to be very hard. At first, you have to identify by yourself the exact cause of your diabetes. As far as I can see, from the information provided by you, you are working on this topic already. Yes, the truth is that some diary products, heavy metals, injuries and allergies can cause diabetes. However, you must find out what has led to this unpleasant condition and to remove it from your life for ever. In addition, there are some tests like, measuring the amount of heavy metals in your blood; cutaneous tests for the identification of certain allergen and many more, which can help you to find out what is causing your diabetes. When you have already found the exact cause of your diabetes, you can start a treatment with supplements together with the drugs prescribed by your healthcare provider. 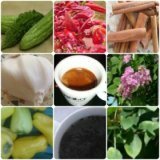 Certain, especially those rich in Magnesium, gymnema sylvestre, Zinc, Biotin, Bitter melon and other things can improve your glucose metabolism. In addition, I want you to remember that you can use only one herb, like Bilberry or Fenugreek instead of using certain supplement. Remember, I’m giving you only substances, which are proved to work and which are not going to harm your health. Now is the perfect time for exercises. You have to know that with some physical activity you can bring your blood glucose level back to the reference ranges. In purpose to achieve this, you should run for at least 30 minutes every single day. At last, if you are on insulin treatment, DO NOT STOP IT, this is the main thing. All the other manners mentioned above, are just reinforcing the insulin treatment and they can’t replace it at all. The combination of those things will improve your condition, but if you stop doing them, your current condition will go from good to very bad, something which you have to avoid. No one is telling you that it will be easy for you to treat your diabetes, because this is long-term treatment, but it is a matter of your life, so do your best.